I love sachets--think I always have and My Scent Essence now has 2 that can be used as sachets--and all their new spring scents are out too!!! Besides the Scent Beads, which can only be used as a frageance they now have some new products out--Aroma Ganza can be used as a sachet (it comes in a little bag with the cutest little heart attached to the drawstring) and to melt!! 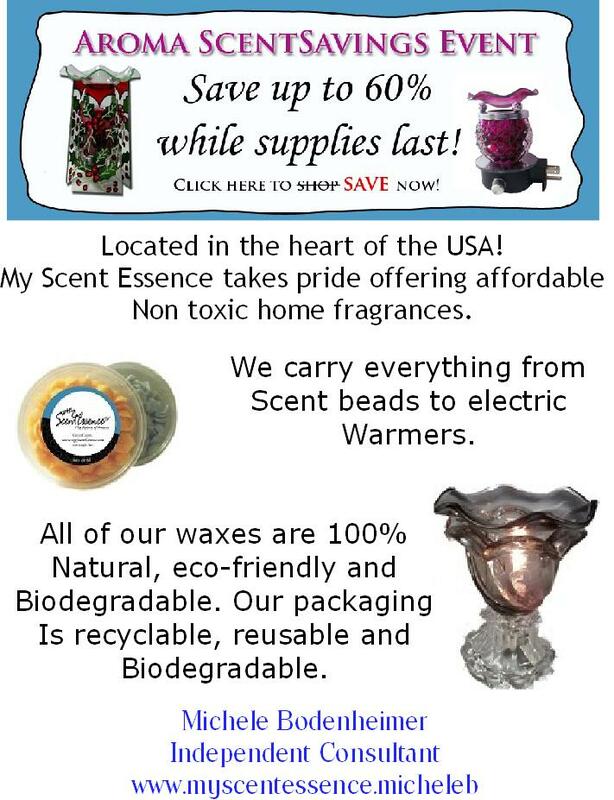 They also have some new melters--Wooden--really elegant looking and totalloy different from anything else I've seen around-you really have to go look at these--and the prices are competitive!! Go to www.myscentessence.com/micheleb and look at the beautiful products at competitive prices! !